The Ear, Nose and Throat Centre at Jaypee Hospital is dedicated towards delivering comprehensive care for all head and neck diseases, sleep disorders, hearing and balance problems. Also known as Otologic Surgery, it involves surgical treatment of hearing disorders or any other disorders that concern the ear. The surgery is performed by special surgeons known as Otologists who use highly advanced microscopic instruments to conduct the surgery for discharging ear, deafness, vertigo, facial nerve paralysis, mastiodectomy etc. The Bone Conduction Hearing Implants are surgical planted titanium devices, which is placed in the skull bone, to treat loss of hearing in adults and pediatric patients. The procedure involves using the body's natural ability to conduct sound through bone conduction and create an impact on hearing. This is a treatment procedure for people with single-sided deafness, conductive hearing loss, mixed hearing loss etc. These implants have an inbuilt sound-processor, and our expert physician assess and determine the apt implants for our patients. This is a specialised domain of surgery where experienced surgeons use high definition instruments to reach the dark recesses of the head and neck for treatment of tumours, chronic ear-conditions like cholesteatoma, mastoiditis, hearing loss due to age, otosclerosis, autoimmune inner ear disease, vertigo and imbalance, vestibular neuritis and disorders of the ear and lateral skull base. A surgical procedure used to remove blockages in the sinuses which can cause sinusitis. Sinusitis is a common condition where the blocked sinus membranes swell and cause pain, drainage and impaired breathing. This surgical procedure is a very minor process and takes a very short time for recovery. Purpose of the surgery is to improve airflow through the nose, reduce the infection and treat the symptoms associated with sinusitis. This procedures are carried out by expert surgeons who use specialized instruments that help in desired outcome and shorter hospital stay. Incidence of chronic sinusitis or the infection of the sinus is more prevalent than predicted. When pharmacotherapy fails, surgery is the cure. Open surgeries are now made obsolete with the advent of minimally invasive endoscopic sinus surgery which causes no discernible change to the look of a patient’s cosmetic appearance. A part of our dedicated ENT care, Microlaryngeal Surgery & Phonosurgery is carried out to treat disorders of the larynx and voice. The surgery is carried out using microsurgical techniques and highly magnified view to treat disorders of voice nodules, cysts, polyps, granulomas, papillomatosis, scarring etc of the voice folds. Microlaryngeal Surgery is used to surgically treat Laryngeal Early cancers. The surgical team works with the speech pathologists or the voice-care team for complete treatment and rehabilitation of the patients. Currently the most annoying disease where people are becoming less tolerant is the snoring and more of a harm is the Sleep apnea. Procedures are now present for an excellent relief from both these sleep disorders performed by the most skilled surgeons include – Uvulopalatopharnygoplasty, Radiofrequency Volumetric Tissue Reduction (RFVTR), Septoplasty and Turbinate Reduction, Genioglossus Advancement, Hyoid Suspension, Maxillomandibular osteotomy (MMO) and advancement (MMA) to name a few. Tonsils and adenoids can cause pain and discomfort when they become infected or obstruct normal breathing or nasal/sinus drainage. Recurring infections in the tonsils can lead to chronic tonsillitis. Enlarged tonsils are a common problem especially among children. 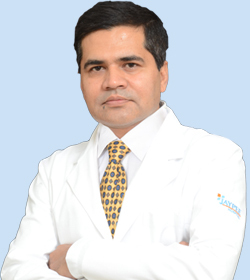 At Jaypee we use Coblation Tonsillectomy which a most advanced technique to conduct bloodless tonsillectomy and adenoidectomy. The procedure is carried out by experts who use mild radiofrequency energy with natural saline to quickly, and safely remove tonsils. Microdebrider- assisted Adenoidectomy is an endoscopic procedure conducted with high-end instruments to achieve accurate results. Thyroplasty Surgery is used to treat disorders of the thyroid gland like cancers or any infections that affect the voice. It involves cutting and reshaping thyroid cartilage to improve voice quality and breathing problems that can arise due to paralysis of vocal folds, spasmodicdysphonias or puberophoni. Surgery of the Parotid gland (one major component of salivary glands) is conducted to treat benign or malignant tumours. The procedure to remove the parotid gland is called Parotidectomy. Surgery of the Sub-Mandibular Gland is conducted when in cases of recurring infections of the gland that can cause swelling, pain and discomfort. These surgeries are conducted by our ENT specialists who use microscopic and advanced instruments to conduct the procedures with minimal invasion for better outcomes and faster recovery. Our little patients are very special and the pediatric ENT specialists are a team of surgeons, physicians, nurses and assistants who are experts in pediatric treatments and work with a lot of compassion and patience with the children who have are detected with ear, nose and throat conditions. Advanced techniques are used for investigation and assessment of the patients. Specialist check airway conditions and use airway balloon dilation and airway reconstructions for treatment. The division provides aural rehabilitation and support services for hearing impaired and tinnitus patients. Services include hearing evaluations & assessment, speech audiometry, industrial audiometric screening programs, ototoxic monitoring via audiometry. It is a multi-disciplinary team of Audiologists and ENT experts. Hearing rehabilitation includes hearing implants alongwith routine follow-up care, counseling, aid evaluation, maintenance and repair and a complete hearing rehab. The Speech Assessment and Therapy team provides diagnostic services, assessment and therapeutic rehabilitation for all speech and language disorders in adults and children. We use standardized testing tools and well-established therapy techniques carried out by the experienced Speech Language Pathologists. Speech disorders include articulation of speech sounds, dysfluent speech/stammering or these disorders can occur as a conjunct symptom of any neurological disorders like dysarthria, apraxia, cerebral palsy, brain stroke or any surgical treatment like removal of tongue or larynx etc.